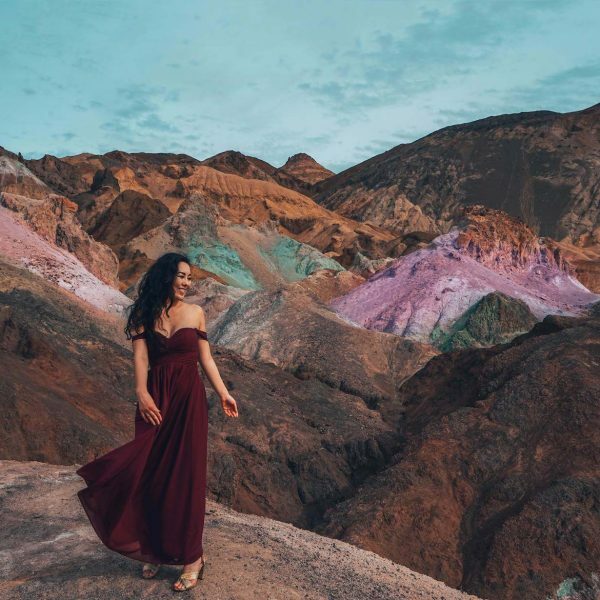 In the southern part of California, there are two places that attract travelers from all over the world: the desert oasis of Joshua Tree and the vibrant town of Palm Springs. Joshua Tree and Palm Springs instantly bring warm feels to my heart. While these two locations are far from being similar to one another; experiencing them together is the perfect blend of tranquillity and lively spirit. Joshua Tree is like no other place I have ever visited. From the awestruck sunsets to the calming presence of the Joshua Trees, themselves. 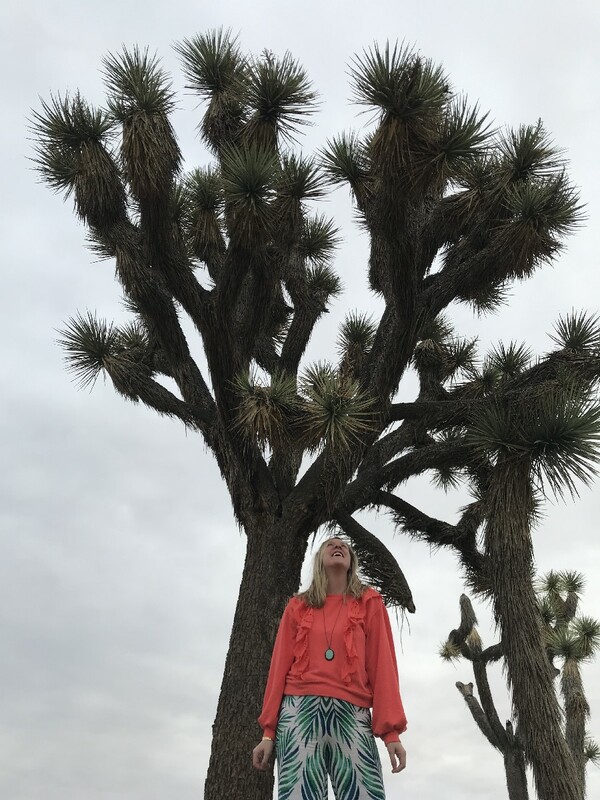 Joshua Tree is a place where your soul and nature become one. This place allows your dreams to come alive and lets all your passions come forth from your heart. Palm Springs is the equalizer to Joshua Tree. It brings your body, mind and soul out of your calming state and into a state of energy, exuberance and playfulness. You come alive with the swaying palm trees and the colorful buildings. This town brings you back into the glitz and glam of when it was an escape for high-end celebrities like Cary Grant and Marilyn Monroe. The stars are alive in Palm Springs. 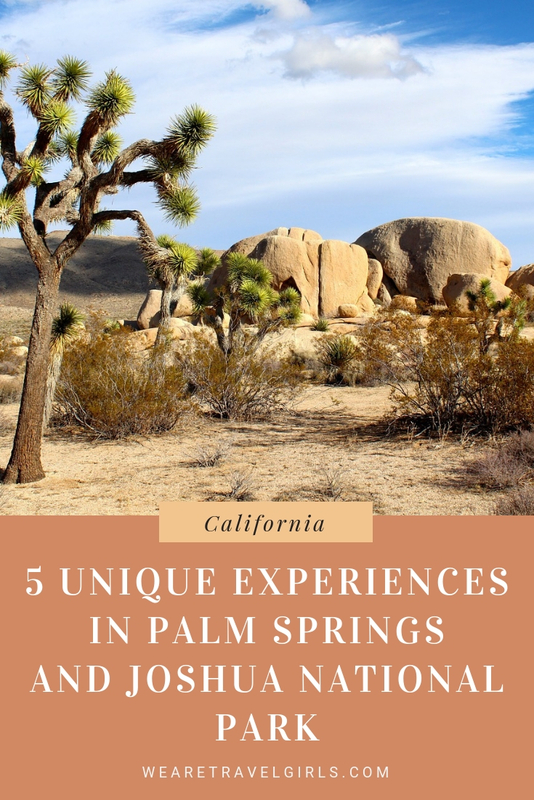 In both Joshua Tree and Palm Springs, there are amazing experiences awaiting you. 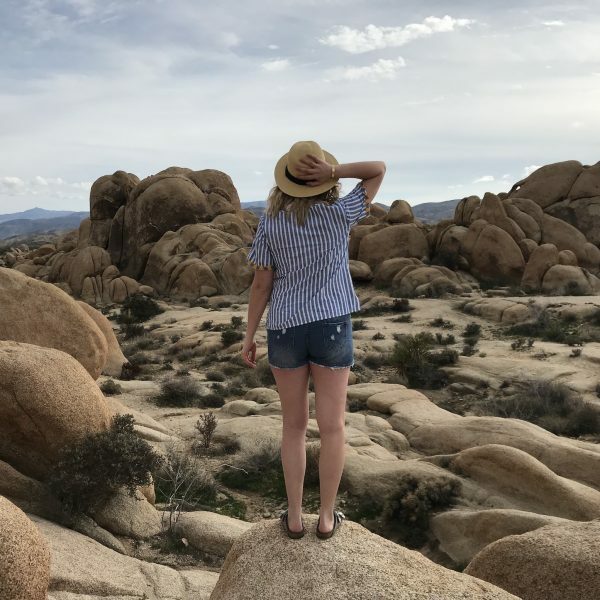 It is my wish that you fall in love with these experiences just like I did, and you leave a little piece of your heart in these areas of southern California. 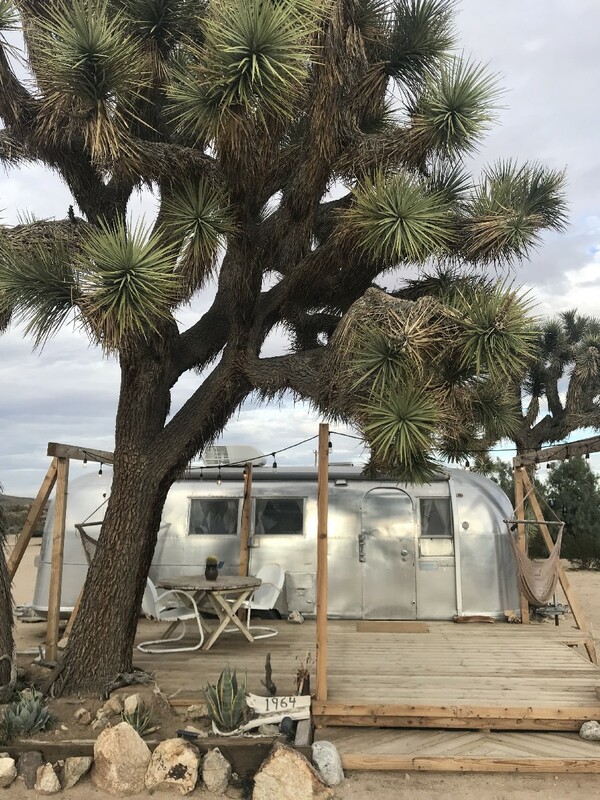 Want to stay in a vintage Airstream in the middle of the desert? Well, now you can at Joshua Tree Acres. Not only is this a place of lodging, but it is an experience. When staying at Joshua Tree Acres, you will be submerged into a community of fellowship. The vibe here is to meet fellow travelers, share your adventures, and connect with one another. So, what is it like to actually stay in an Airstream? It is totally rad! There are a handful of renovated Airstreams on this property and they all been redesigned with a retro and vintage vibe. The interior design curation of the various Airstreams is out of this world. Not only are these Airstreams pleasing to the eye, but they are completely comfortable too. I had some of my best night’s sleep in my little Airstream. Some fun facts, each Airstream comes with swinging chair hammocks, adorable cacti, and whimsical string lights. 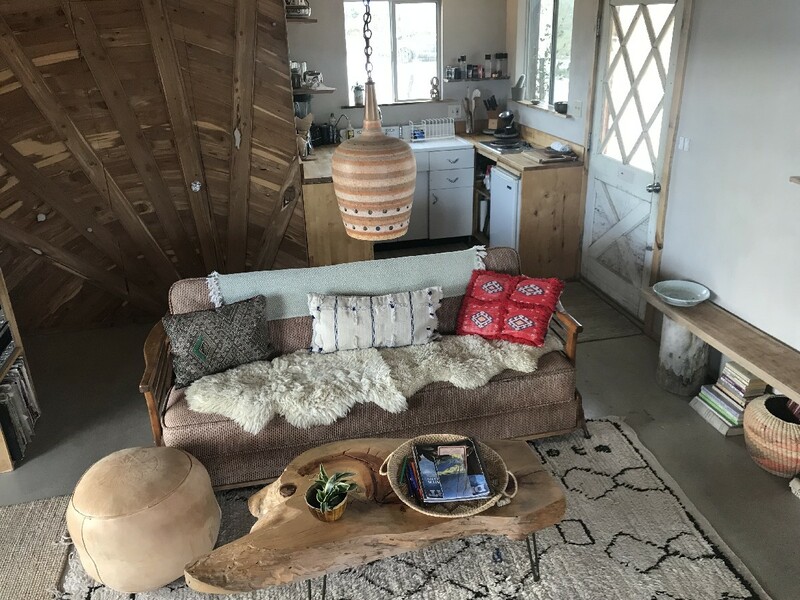 Some other aspects to note, you will be sharing all bathroom and kitchen areas with the fellow travel residents of Joshua Tree Acres. I had no concerns with this at all, as the other travelers and I were on different time schedules. So, it honestly was like I had the whole place to myself. 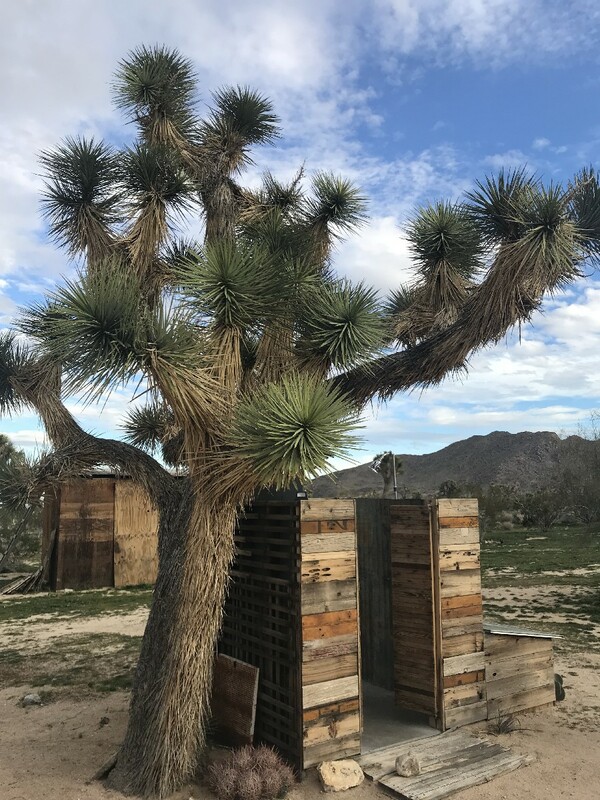 Another fun fact, there is a solar powered outdoor shower there, and I had a blast showering literally under a gorgeous Joshua Tree! Now, I want to talk about one of the most unique experiences I have ever had, I took a hot bath in a claw foot tub, in the middle of the desert! Raise your hand if you have done that before! Not only did I splurge on a glorious bath, but it was during sunset. Talk about phenomenal. It was literally one of the most surreal experiences of my life! Taking a bath not really your thing? There is bocce ball to play, a hot tub to soak in, a fireplace to roast delicious s’mores, hammocks to relax in, a saltwater pool to dip in, and so many little areas for photo shoots. There is also a clubhouse to cook, grill out, or relax and listen to some old school records in. This property is on a few acres, so there is plenty of room to walk around and explore. Do not forget to stay up late one night and watch the magnificent stars in the dark desert sky. 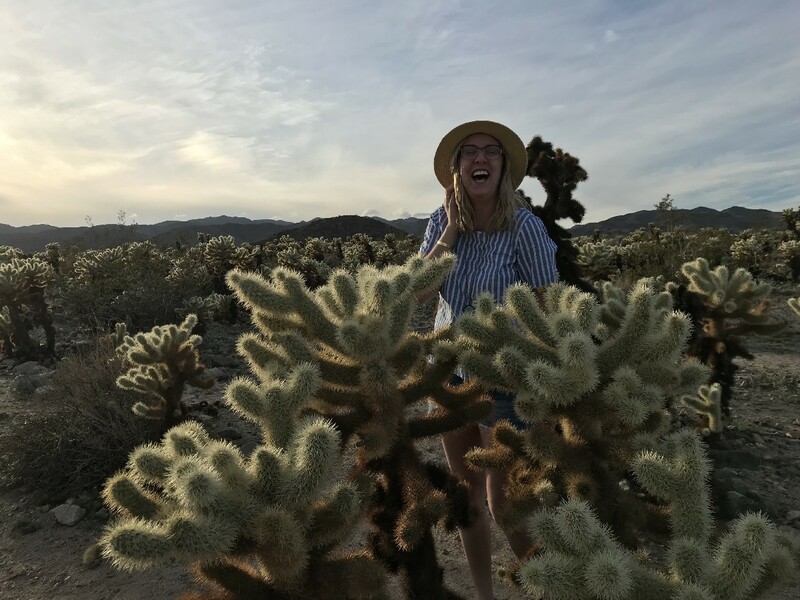 Have you ever been surrounded by hundreds of charming and delightful cacti with the golden hour sun shining warmly on your face? Yeah, me neither. 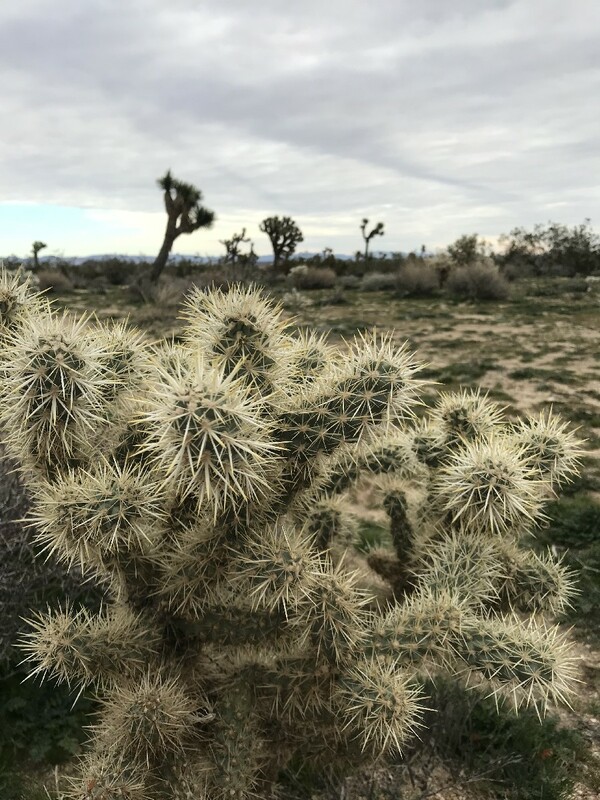 That is until I visited the Cholla Cactus Garden at Joshua Tree National Park. This was such a phenomenon, I really cannot even put it into words. I could have spent hours there. It was just so breathtaking seeing so many cacti at such a glorious time of the day. Everyone loves delectable food, pleasant company, and a pretty-as-a-picture ambience, right? Then you absolutely must partake in the unique family supper at Sparrows Lodge. They have a family supper on Wednesday and Saturday nights. On Wednesday they serve chicken and on Saturday they serve beef. The concept of this type of dining experience is to engage in farm to table dining and fellowship with people from all over the world. I love this concept so much and am going to go into more detail below. To start off, the location of this supper was absolutely divine. Supper was held at Sparrows Lodge, which is a little piece of Heaven amidst the Palm Springs hustle and bustle. There are quaint water fountains, fresh orange trees, and a roaring fire that welcomes you into the lodge. Upon checking in, I started my night with some exquisite hummus and champagne. Once snacking and sipping a bit, I stepped out into the courtyard where the artistically beautiful family-style table was set up. Now, this is not your average dinner table. Dimly lit string lights cascaded down the orange trees covering the table. Lush flowers adorned the table, accompanied by a plethora of candles that made the table come alive in a glowing fashion. This ambience could not be beaten and resembled something straight from a fairytale. Next comes the company I shared my supper with. Again, this was a family-style dining experience. So, I was seated next to people I had never met before and it could not have been more enjoyable. Everyone came together like we had all been friends for years and years. 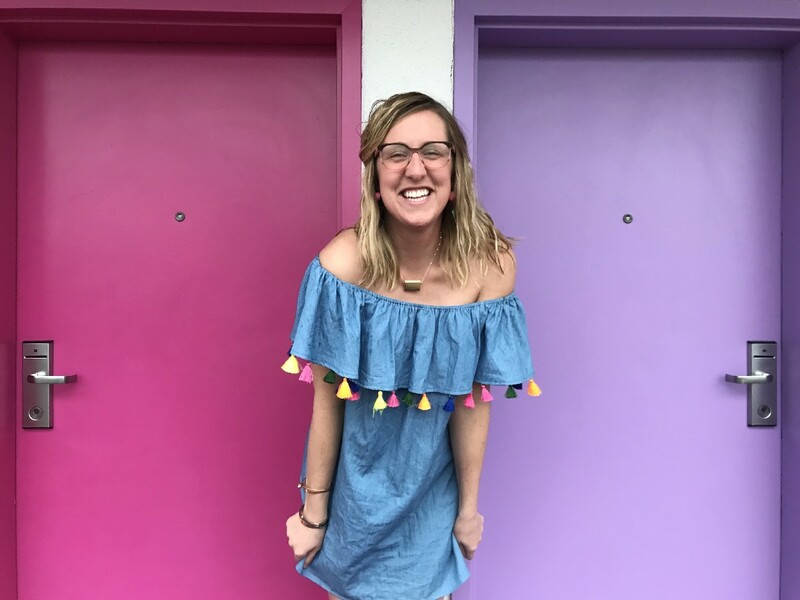 One of the blessings about traveling solo is pushing yourself to talk with people and meet people, thus, creating lasting friendships around the entire world! Finally, what everyone truly came for… THE FOOD. If technology could invent a taste feature for blog posts, that would be ideal for this post. This was honestly some of the most delightful food I have ever tasted in my whole life. And one of the best aspects about the food was that the chef explained everything about it! All the fruits and vegetables are grown locally right on the property. The chicken is brought in fresh the day of the supper. And all other items of the supper are supplied by local vendors. A few of my favorite things (besides everything)… the lemon infused mash potatoes, the smoked chicken, and the miniature ice cream cone. If you ever visit Palm Springs (which you absolutely should) you MUST eat here. Never have I said anything with such meaning before! Let us step into our imagination a little bit. Imagine yourself surrounded by pink… literally everywhere. Walking around, you see a wall of flamingos next to you. Have you ever wanted a pink piece of bubblegum? Well, you got it! Now, let us dip into a pool with floating pink hearts. Now, we wake up from this imagination dream and step back into reality. Oh, wait, that was a reality! The reality of staying at The Palm Baum! The Palm Baum is a desert pink wonderland. Surrounded by all things pink, and then some pinker. This is a place that dreams are made of. 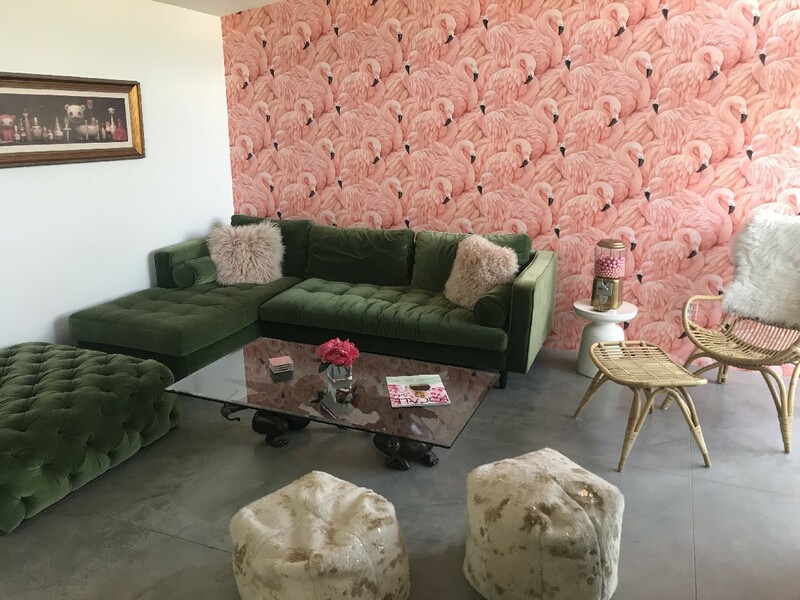 Spend your day lounging poolside with a pineapple drink in hand, and then spend your nights listening to the cool tunes of the retro record player (it is pink… obviously). 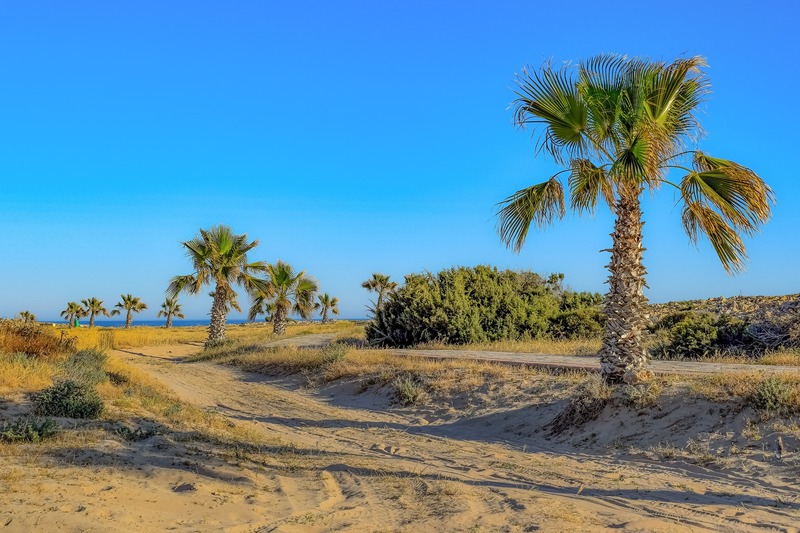 The Palm Baum offers more than just a roof over your head. It offers a completely sensational experience that no other place can offer! Palm Springs is popping with color all over. 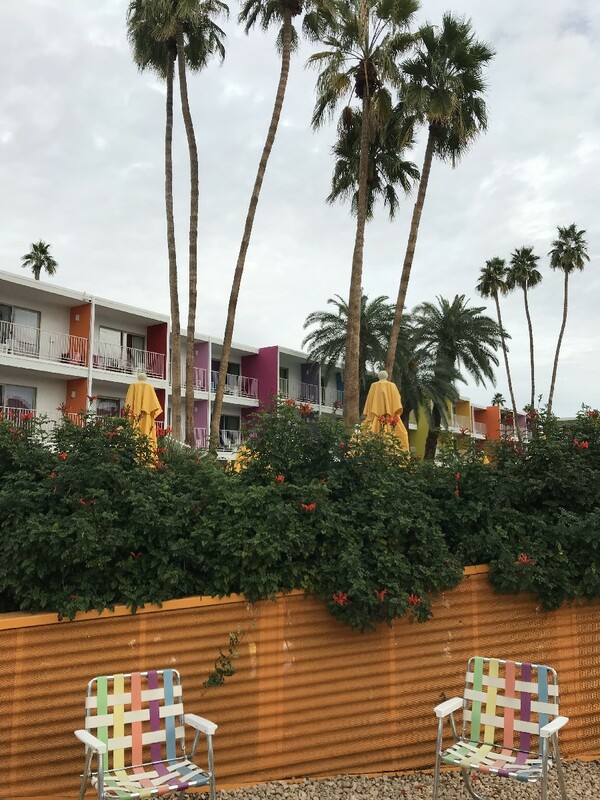 A visit to Palm Springs would not be complete without strolling past all the colorful doors that adorn this vibrant town. 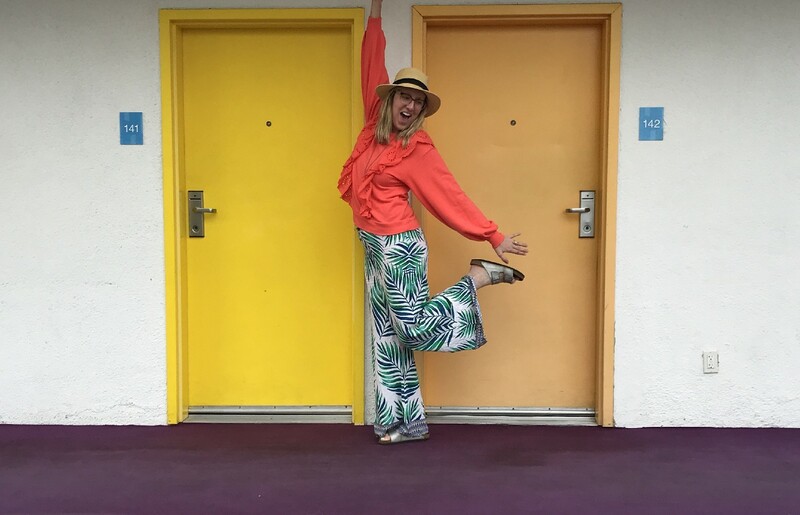 These doors give you a great feel for the Palm Springs vibe and are so fun to take photos in front of. Please remember though, some of these doors belong to people’s homes. Many people welcome visitors to take photos in front of their doors, where others have specific signs that say “no photography please”. Please be respectful of private residences in all photos. One of my favorite areas to tour around would be the iconic Indian Canyons neighborhood. This neighborhood is full of modern homes, with dazzling colorful doors. Ranging from pastel pink to burnt orange. I genuinely enjoyed my time cruising around this neighborhood. I drove my Ford Mustang convertible around, but another great mode of transportation would be by bike! Another favorite of mine would have to be the classically colorful Saguaro Hotel. This hotel is beaming with color from the floor all the way to the rooftop. You cannot help but smile when you are around all these colors. Looking to take a break from door gazing and photo snapping? Make sure to stop for a taco, or 20, at El Jefe. This restaurant is located inside the hotel and concocts some of the tastiest tacos ever! 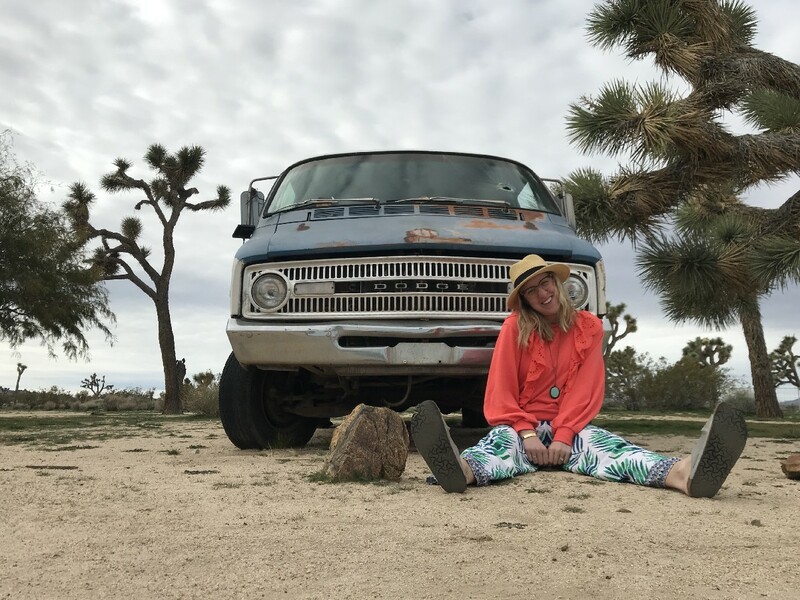 Let the good times roll in Joshua Tree and Palm Springs! There are not enough good things I could say about these two delightful destinations. It truly is the best of both worlds. Looking for a little soul searching and peace? Head to Joshua Tree for the day. Looking for a little more energy and action? Head to Palm Springs for the day. 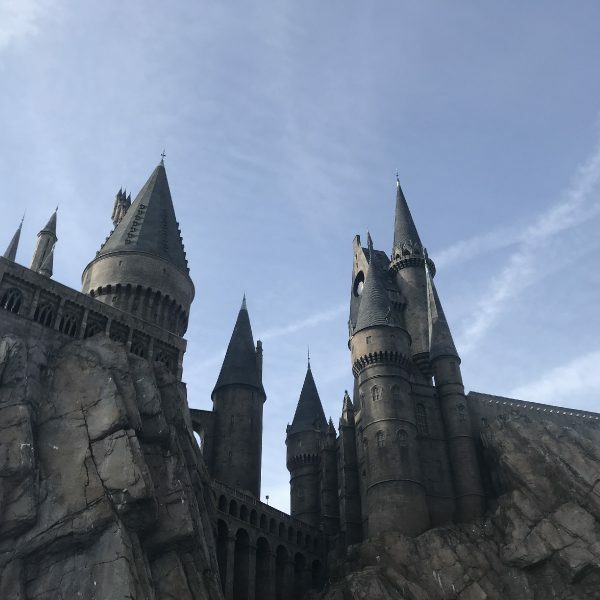 Whatever you do with your days, please find a way to incorporate these 5 amazingly fun and unique experiences. 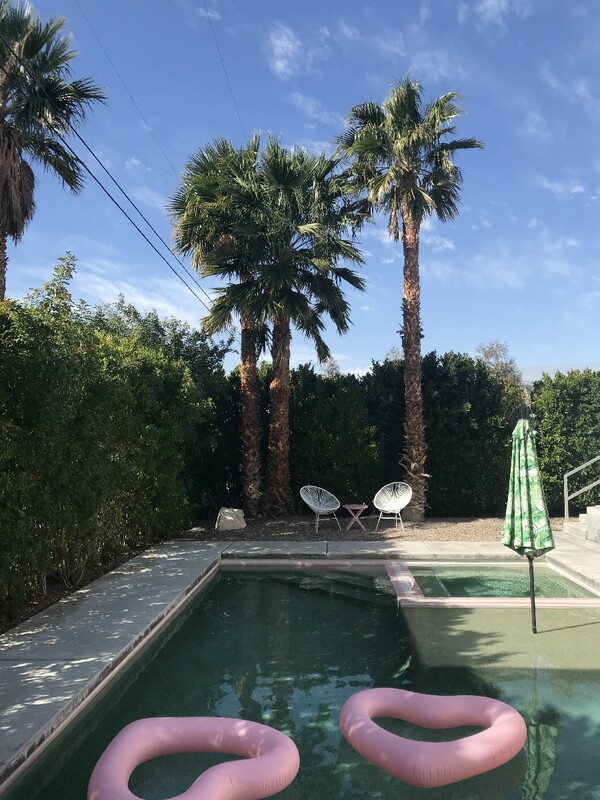 We hope that this article has inspired you to visit Palm Springs and Joshua Tree. If you have any questions about the destination or have your own travel tips to share please leave these in the comments below. Perfect timing! We are heading to Palm Springs during Easter week. I was just saying that I wanted to visit Joshua tree while we are there since we didn’t go there last time. Now, I am looking forward to it! There are so many things to do in that part of the country, it’s hard to find time to do them all.